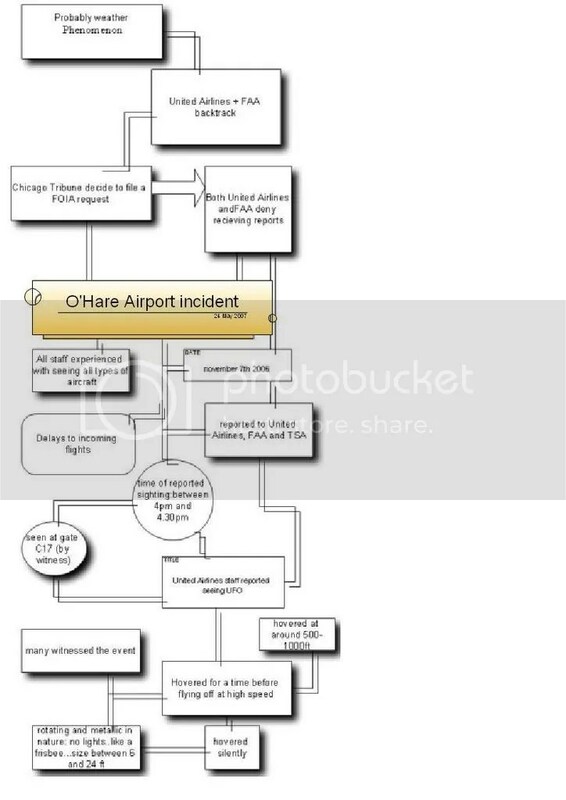 Here is a flowchart showing the main events from the o’Hare incident on november 7th, 2006. United airlines staff reported seeing a UFO…There were reports of delays to incoming flights, and observations from residents around the area, to this effect too. 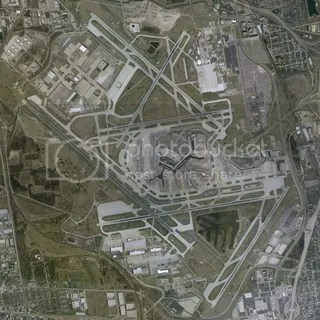 Staff mention that it was reported to both United Airlines, the FAA and TSA… that the ufo was seen at gate C17 (by a witness), and it hovered there for a while, before then flying off at high speed. United Airlines and the FAA denied recieving any reports on this matter…. But “The Tribune” decided to take this one step further and filled a freedom of information act request. 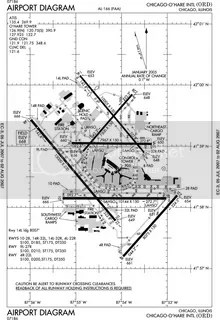 Both FAA and United Airlines backtracked, after first dening anything had been reported…. The predictable FAA response was it was probably, a “weather Phenomenon”…..
See NUFORC REPORT for info and here . Richard Dolan (ufo historian) and jon Hilkevitch (journalist from Chicago Tribune), were both interviewed on the Glenn Beck show (3rd January 2007)…..the transcript can be seen here .